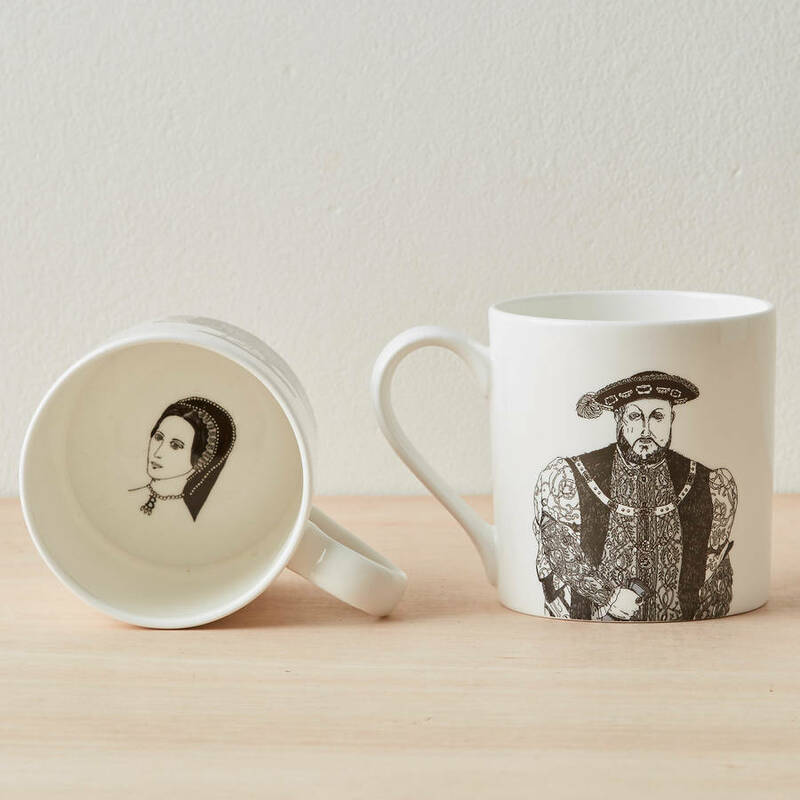 The Henry VIII bone china mug is fit for a king! 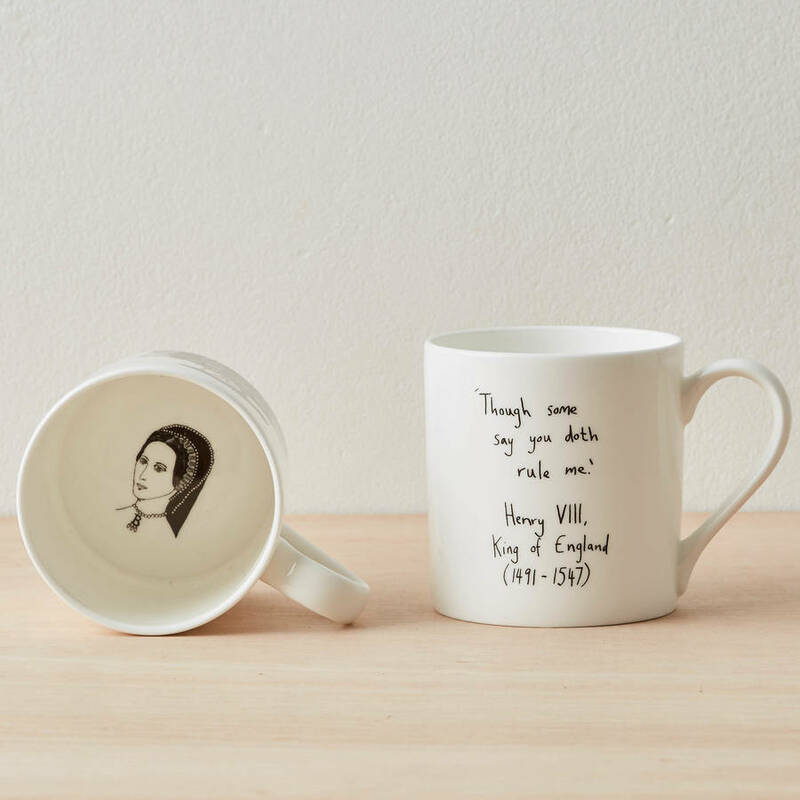 This high-quality bone china mug features a portrait of King Henry VIII on the front, a well-known handwritten quote he once uttered on the reverse, and an illustration of Anne Boleyn – his infamous second wife – on the inside. Celebrating all things British, these mugs are the perfect must haves in every kitchen cupboard ready for afternoon tea. 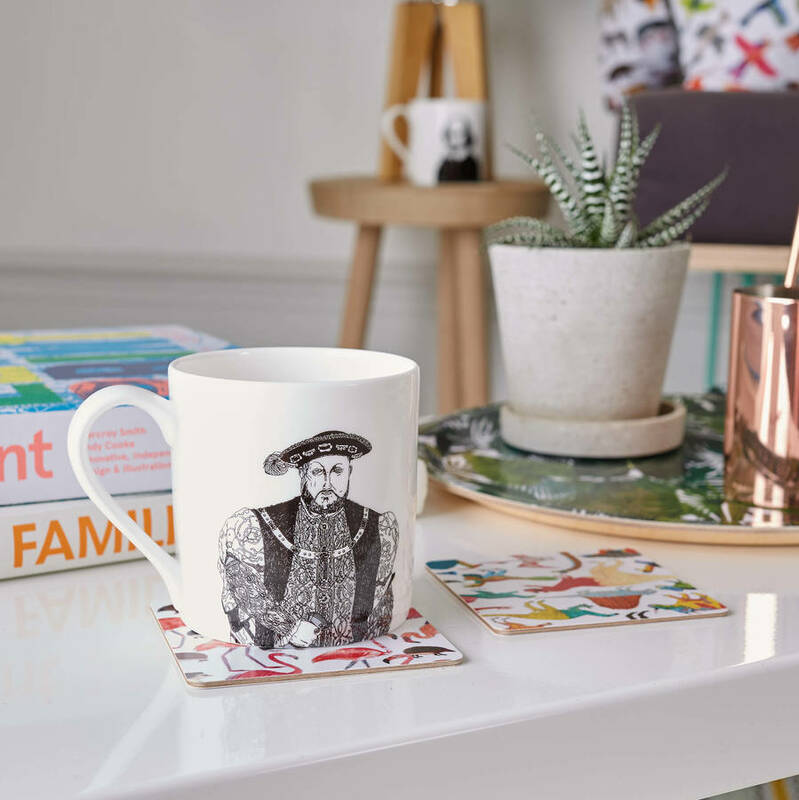 Our Great Briton mugs are made of the finest bone china sourced from Europe (for its superior quality) and hand decorated in Stoke-On-Trent, UK. Measures 11.5 x 9 cm including the handle.